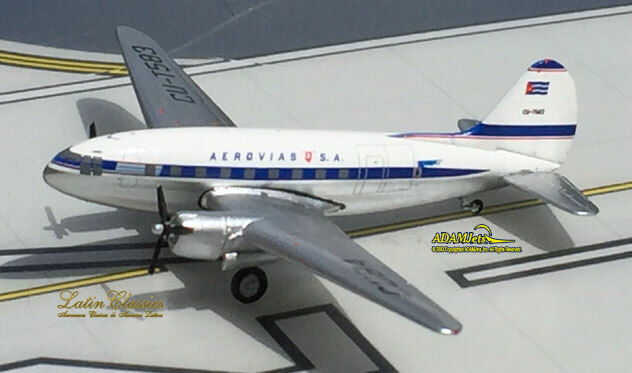 Latin Classics Models: one limited edition, collectible die cast airliner model in 1/400th scale of an Canadair CL-4 North Star in the Compañía Cubana de Aviación Hybrid TCA Colors. Airframe Registration CF-TFC. The model is constructed of die-cast metal molded with some plastic parts. This product was released in August, 2011. 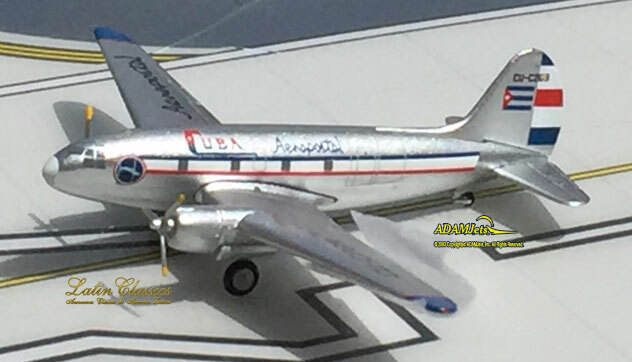 Latin Classics Models: one limited edition collectible, fully assembled, and highly detailed die cast airliner model, in a 1/400th scale of a Curtis C-46A Commando in the Cuba Aeropostal Airlines Old 1950’s Colors Scheme. With a Painted Metal finish. Airframe Registration CU-C269. The model is constructed of metal with some plastic parts. This is a collectable model, not suitable for children under the age of 14 years. This product was first released in September, 2018. 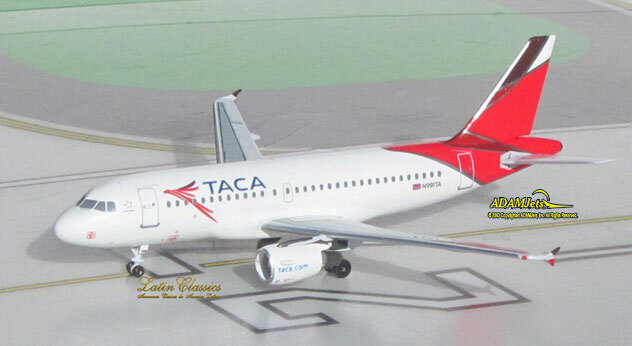 Latin Classics Models: one limited edition collectable, die-cast metal airliner model in a 1/400th scale of an Airbus A319-112 in the Mexicana Airlines Last 2010s Colors Scheme. Airframe Registration XA-NCA. This model is constructed of die-cast metal with some plastic parts. This product is available beginning in April, 2018. 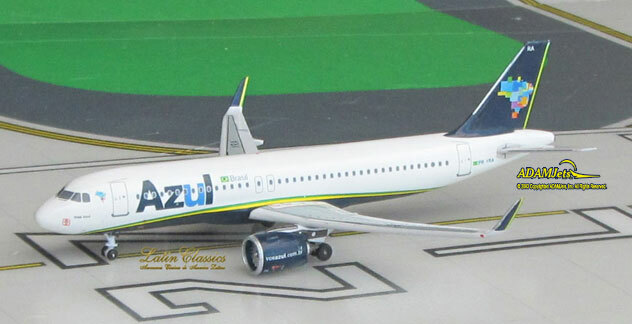 Latin Classics Models: one limited edition collectable, die-cast metal airliner model in a 1/400th scale of an Airbus A320-231 in the Mexicana Airlines Old 1990s Colors Scheme. With titles Cuitlahuac. Airframe Registration N230RX. This model is constructed of die-cast metal with some plastic parts. This product is available beginning in June, 2018. 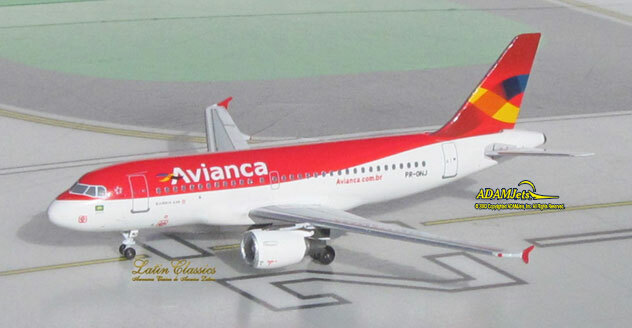 Latin Classics Models: one limited edition collectable, die-cast metal airliner model in a 1/400th scale of an Airbus A320-231 in the Mexicana Airlines Old 1990s Red Pattern Colors Scheme. With titles Teotitlan. Airframe Registration XA-RYQ. This model is constructed of die-cast metal with some plastic parts. This product is available beginning in October, 2018. 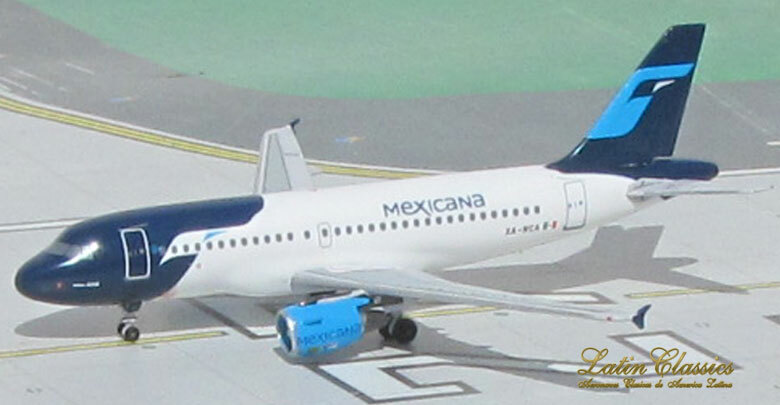 Latin Classics Models: one limited edition collectible, die cast airliner model, in a 1/400th scale of an Airbus A320-231 in the Mexicana Airlines 2000’s Billboard Tail Colors Scheme. Airframe Registration XA-TXT. The model is constructed of metal with some plastic parts. This product was released in November, 2018. Latin Classics Models: one limited edition, collectible die cast airliner model in 1/400th scale of a Boeing B727-264/Adv. in the AeroPeru Airlines Old 1990’s Colors Scheme. With Mexican Registration and a Polished Metal finish. Airframe Registration XA-HON. The model is constructed of metal with some plastic parts. This product was released in July, 2018. Latin Classics Models: one limited edition, collectible die cast airliner model in 1/400th scale of a Boeing B727-281/Adv. in the AeroPeru Airlines Old 1990’s Colors Scheme. With 25th Anniversary logos and a Polished Metal finish. Airframe Registration OB-1573. The model is constructed of metal with some plastic parts. This product was released in July, 2018. Latin Classics Model: one limited edition collectible, die cast metal airliner model, in a 1/400th scale of a Boeing B727-227F/Advanced in the DHL - Express Deutsche Post Airlines (Vensecar International - DHL Venezuela) Old Colors Scheme. With Venezuelan Registration. Airframe Registration YV-236T. The model is constructed of metal with some plastic parts. This product was released in October, 2018. Latin Classics Models: one limited edition collectible, die cast airliner model, in a 1/400th scale of a Boeing B727-264/Advanced in the Mexican Federal Police Early 2000’s Skunk Color Scheme. Airframe Registration XA-FPA. With titles Policia Federal. The model is constructed of metal with some plastic parts. This product was released in November, 2018. Latin Classics Models: : one limited edition collectible, fully assembled, and highly detailed die cast airliner model, in a 1/400th scale of a Boeing B727-264/Advanced in the Mexicana Airlines Old 2000’s Green Pattern Colors Scheme. With 80th Anniversario Logos and titles Minaltitlan. Airframe Registration XA-MXD. This is a collectable model, not suitable for children under the age of 14 years. The model is constructed of metal with some plastic parts. This product was first released in January, 2019. Latin Classics Model: one limited edition collectible, die cast metal airliner model, in a 1/400th scale of a Boeing B727-264/Advanced in the Mexicana Airlines Early 2000’s Green Pattern Colors Scheme. With a titles Durango. Airframe Registration XA-MEE. The model is constructed of metal with some plastic parts. This product was released in September, 2018. Latin Classics Models: one limited edition collectible, die cast airliner model, in a 1/400th scale of a Boeing B757-23A in the Aero Peru Airlines Old 1990’s Color Scheme. Airframe Registration XA-SME. With Mexican Registration. The model is constructed of metal with some plastic parts. This product was released in November, 2018.